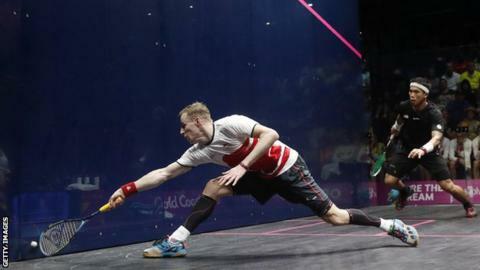 Britain's former world number one Nick Matthew has suggested there could be a legal challenge against squash's omission from the Olympics. On Thursday, Paris organisers announced breakdancing was one of four sports to be proposed to the International Olympic Committee (IOC) for 2024. Squash unsuccessfully campaigned for inclusion, having been rejected for London 2012, Rio 2016 and Tokyo 2020. Matthew, 38, asked: "Can the sport take the IOC to court over past bids?" Speaking to the Telegraph, the three-time world and Commonwealth champion added: "All the criteria which have been laid out have been ticked. "We should have been part of the Olympic movement years ago, certainly from London 2012. It's very frustrating and I don't see anything that will change if we carry on doing the same things. "Sports are being pulled from left field now." Breakdancing was included in the Youth Olympic Games in Buenos Aires in 2018 and joins skateboarding, surfing and climbing - which will all debut at Tokyo 2020 - in being proposed to the IOC. The body must reach a decision by December 2020. Although he says he is not "advocating it", Matthew asked at what point a professional athlete could take legal action for being "denied a chance of a gold medal, which I can only see as negligence". Saying he would be "fully supportive" of legal grounds for complaint, Matthew added: "Skateboarding didn't even have a national governing body when it was chosen as an Olympic sport. "It shows a massive disconnect from the IOC on the actual infrastructure of the sport. It has to be made accountable." In a joint statement on Thursday, the World Squash Federation and the Professional Squash Association said: "We truly believe squash could seamlessly integrate into the Olympic programme with minimal costs and an optimised pool of participants. "Our unique interactive glass court would allow squash to bring a lot of additional excitement and spectacular action to any iconic monument of the host city, or shed a new light on less known urban areas while also helping to engage young people in the sport from day one of the preparations and well beyond the Olympic Games."